Isn’t it always a pain to pack your suitcase? Dreading this is a very normal feeling to experience. But since it cannot be completely avoided, here are some tips to make packing more bearable and fun! To start off with, grab a friend or a sibling or even a parent to keep you company while you explore the wonders and depths of your closet. Put some music on to get you in the mood; it might sound bizarre, but good music can make many tedious things so much more fun. It is important to mention that there is no perfect way to pack a suitcase. However, the tips mentioned below will help you properly pack a suitcase in no time. Tip 1: Start with heavy items of clothing such as jerseys and jackets (if your destination is cold, of course). Now you need to pack the lighter options on top. When it comes to pants like jeans, smart pants and sweat pants, roll them for maximum space saving. Shorts can be placed as they are, scattered or in piles. Once this has been completed, you can now move on to shirts, tops and T-shirts. For these items, it is advisable to roll your tops to save space and avoid terrible creases. The only problem with rolling your clothes is that it may be very difficult to pick out an outfit when you are living out of a suitcase. However, there is a simple solution to this little problem. You can put together all your outfit choices beforehand and pack them together. For example, you decide your pretty pink shirt goes perfectly with your denim shorts. When you pack, roll those items next to each other so you don’t have to search and unroll everything. For all your very flimsy and thin clothing items, try folding them nicely but don’t worry too much about wrinkles and creases as these fabrics tend to crease no matter how nicely you pack them. There is a useful tip for this predicament coming up in tip 2! Tip 2: Always carry a tiny steamer with you if you are packing a summer suitcase. Flimsy clothing will always crease fast. 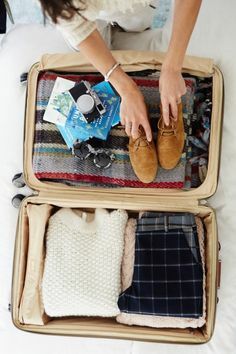 Don’t worry about the steamer when packing for a winter destination, as thick woolen textures and knits won’t ever crease. Tip 3: Now arrange your belts around the edges of your suitcase. Tip 4: Delicates such as your underwear, bras and swimwear are next. Either pack these items together in a delicates bag or place all of them in once specific corner… and remember it, so that you can easily access this corner when you need your delicates. Tip 5: Pack the items you will need first when arriving at your destination right on top to allow for easy access. There is nothing worse than arriving at your hotel room or holiday resting place and having to hunt for your pajamas after a long journey. Tip 6: Now it’s time to tackle the rest. This includes shoes and toiletries. It is best to take along different types of shoes: flats for walking, sneakers for hiking or gyming, and a pair of heels for ladies or smart shoes for men for when you need to dress to impress. 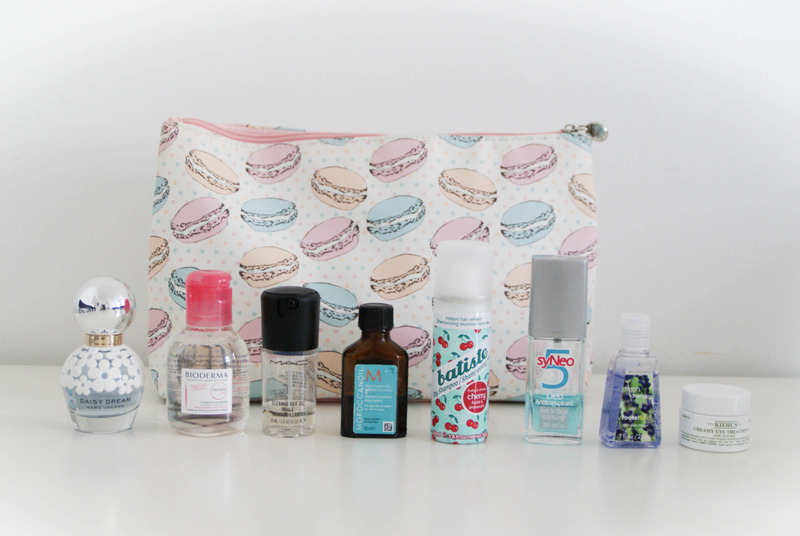 Tip 7: For your toiletries, you need to get little bottles you can refill with a reasonable amount of liquid so that you are not taking more than you need; avoid having an over-weight suitcase. Place the items that may overflow or leak in a little clear zippy bag. Don’t forget to include vital items such as your toothbrush, toothpaste, body wash (soap can be quite messy to re-package or store) and shampoo. For the ladies, find a foldable bag or jewellery organiser that does not take up a lot of space to neatly place your jewellery pieces. Extra Tip! If you have dirty items – bag them! Place any dirty items in a separate bag if you have enough space. If space is so tight that you have to sit on your suitcase to close it, then place a black plastic bag on top of your clothing to separate the clean and unused clothes from the dirty ones on top. If you have fragile items – tuck them! Place any fragile items in-between your clothes anywhere in the middle of the suitcase; avoid the sides as they could get bashed. Don’t ever forget!! This is one thing I have done numerous times and definitely regretted it. Don’t forget to pack your cellphone charger or a powerbank. You won’t believe the things you can’t do without a phone. There you have it! Some useful tips to help you pack in a few minutes.